One of our favorite gaming mice just dropped to an awesome price. 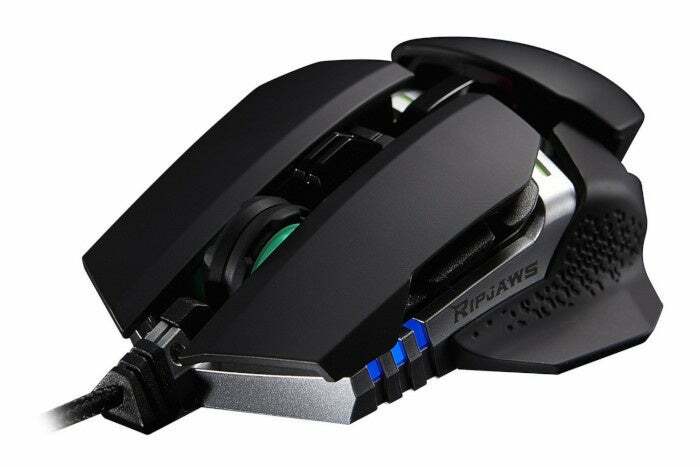 Amazon is selling the G.Skill Ripjaws MX780 for $28.19. It’s not clear if this is a permanent price drop or if it will be going back up in the coming days, so if you're interested, hop on it now. And you should be. The MX780 marked G.Skill’s mouse debut when it launched in 2015, and the company came out swinging. This mouse is designed to adapt to you. It’s an ambidextrous device with eight-fully programmable buttons and RGB lighting. The MX780 features interchangeable side grips and a height-adjustable palm rest for extra comfort, while the onboard storage can save up to five profiles with unique button and lighting configurations. When we reviewed the MX780 three years ago we thought it wasn’t quite as comfortable as the Logitech G502, but the G502 has been our favorite gaming mouse for four years running and costs a lot more. The G.Skill MX780's extreme customization options can be a weakness too, though; to get the most out of this mouse you need to spend some time tweaking it for comfort and fit. The buttons are also loud. Still, overall it’s a great mouse that easily earned a 4.5 out of 5 star rating from us. For $28 it's a no-brainer.